Rwanda is a rural country with about 90% of the population engaged in subsistence agriculture and some mineral and agro-processing. Tourism, minerals, coffee and tea are Rwanda's main sources of foreign exchange. The 1994 genocide decimated Rwanda's fragile economic base, severely impoverished the population, particularly women, and temporarily stalled the country's ability to attract private and external investment. However, Rwanda has made substantial progress in stabilizing and rehabilitating its economy to pre-1994 levels. GDP has rebounded with an average annual growth of 7%-8% since 2003 and inflation has been reduced to single digits. Nonetheless, a significant percent of the population still live below the official poverty line; 45% of the population now lives below the poverty line, compared to 57% in 2006. Despite Rwanda's fertile ecosystem, food production often does not keep pace with demand, requiring food imports In recognition of Rwanda's successful management of its macro economy, in 2010, the IMF graduated Rwanda to a Policy Support Instrument (PSI). 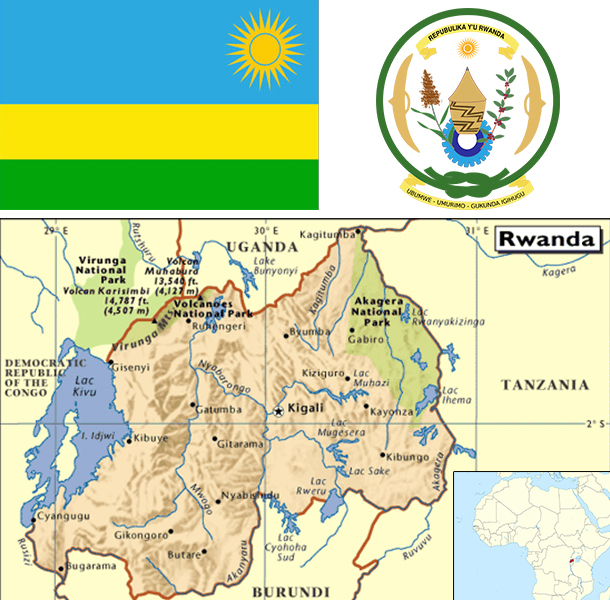 Africa's most densely populated country is trying to overcome the limitations of its small, landlocked economy by leveraging regional trade; Rwanda joined the East African Community and is aligning its budget, trade, and immigration policies with its regional partners. The government has embraced an expansionary fiscal policy to reduce poverty by improving education, infrastructure, and foreign and domestic investment and pursuing market-oriented reforms. Energy shortages, instability in neighboring states, and lack of adequate transportation linkages to other countries continue to handicap private sector growth. The Rwandan Government is seeking to become regional leader in information and communication technologies. In 2012, Rwanda completed the first modern Special Economic Zone (SEZ) in Kigali. The SEZ seeks to attract investment in all sectors, but specifically in agribusiness, information and communications technologies, trade and logistics, mining, and construction.